Global equities boutique manager, Bell Asset Management has hired two new relationship managers, aiming to bolster its institutional and wholesale distribution capabilities. Amanda MacDonald will be joining the Institutional Distribution team while James Archer has started his role, working closely with head of Wholesale Xanthe Virtue. Rob Sullivan, managing director, Strategy and Distribution at BAM said the firm was experiencing unprecedented levels of interest for its institutional and wholesale offerings. The two recent hires, he added, are indicative of the boutique manager’s continued growth. “We’re seeing increased investor interest in our global equities strategies which can be attributed to BAM’s success and proven track record of delivering alpha in times of market volatility and uncertainty,” he said. 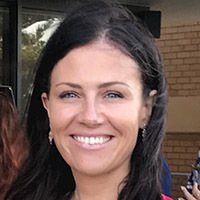 Ms MacDonald has worked in finance for more than ten years, having worked for Pendal, JP Morgan, UBS and Macquarie Bank. “It is with great pleasure that I welcome James and Amanda where they will play a pivotal role in supporting BAM as it continues to attract institutional and retail interest,” Mr Sullivan said.